Open containers of alcoholic beverages are allowed to be consumed outside in historic downtown Acworth. Just follow a few rules and you’re welcome to sip and stroll at your leisure in Acworth! Alcoholic drinks must be in a city-approved 16-ounce, clear plastic container. Just ask for a city-approved cup at your favorite downtown restaurant. You can’t bring your own alcohol to downtown Acworth. All alcoholic beverages consumed in the downtown historic area must be purchased from a licensed merchant in downtown Acworth. 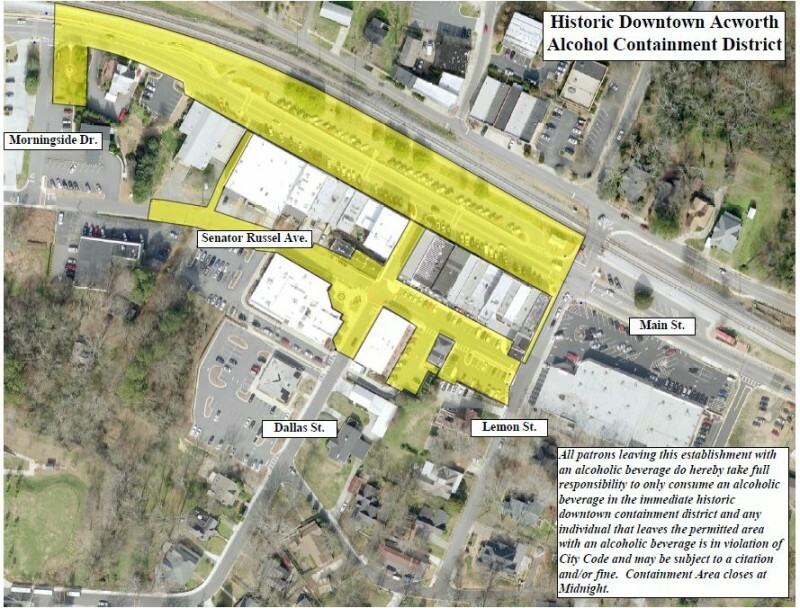 No alcohol may be consumed in historic downtown Acworth after midnight.